Pure oxygen, generated by Oxydator is mostly immediately available, and therefore resolved without the formation of bubbles in the water. 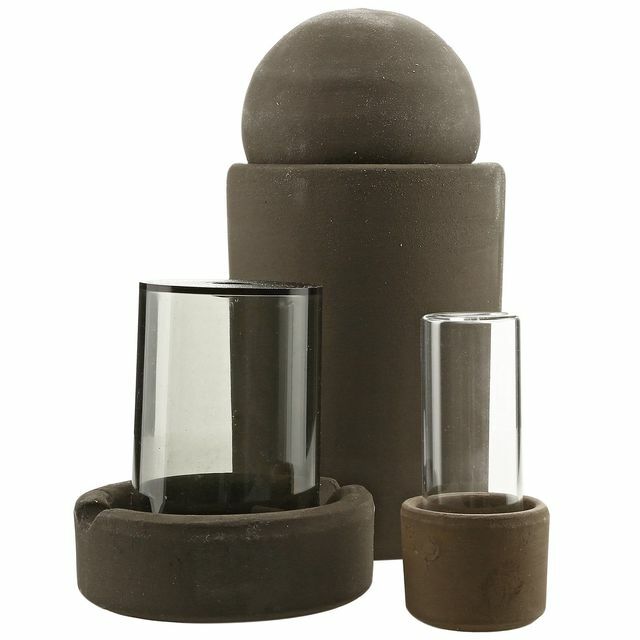 The oxygen supply is absolutely noiseless, expelling of carbon dioxide and a swirling of ground (sludge) is avoided. 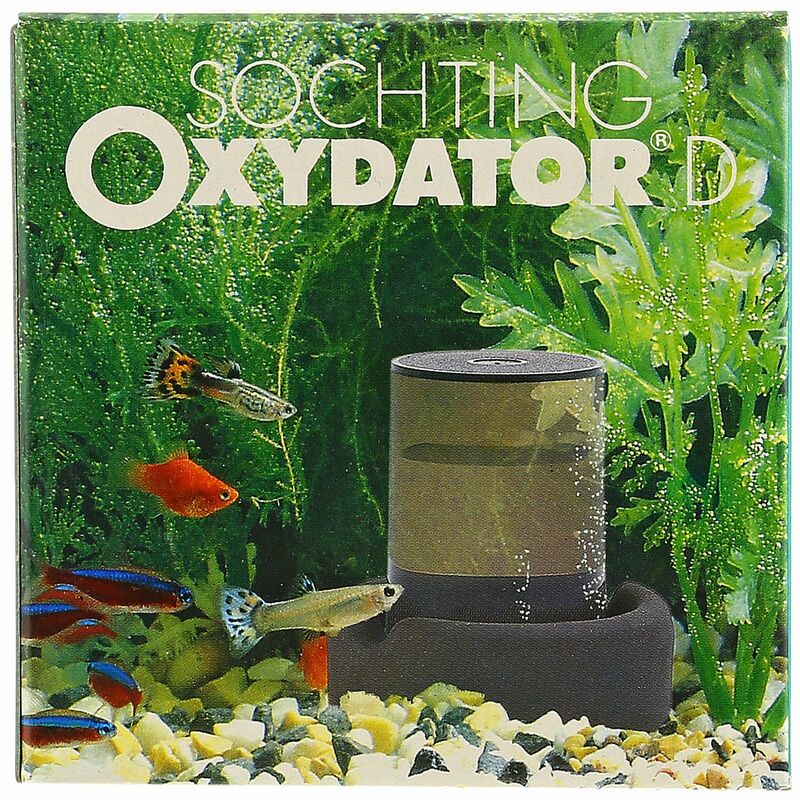 Activated oxygen - water is loosely bound to oxygen atoms - diffuses much faster than normal, dissolved oxygen. Therefore, it can reach non-flow angle and niches of the water column, passes through the ground and makes it an ideal biological filter. The benefits of the addition of hydrogen peroxide in acute oxygen deficiency of fish in putrefaction and thereby water turbidity occurring in the tank, to spawn mold or at all for a better well-being of the fish have long been known. New is the continuous and in the long run much higher dosage of hydrogen peroxide and its transformation into molecular oxygen and water through the Söchting Oxydator. The advantage is that the water quality for fish generally improves and prevents the occurrence of the above problems from the outset. This is made possible by the special ceramic that the hydrogen peroxide (H2O2) completely to water (H2O) and normal oxygen (O2) breaks down. This will enhance the water quality for fish through the supply of activates oxygen, without expelling CO2 which is needed by the aquatic plants. On the other hand, numerous toxins are rendered harmless exclusively by activated oxygen. 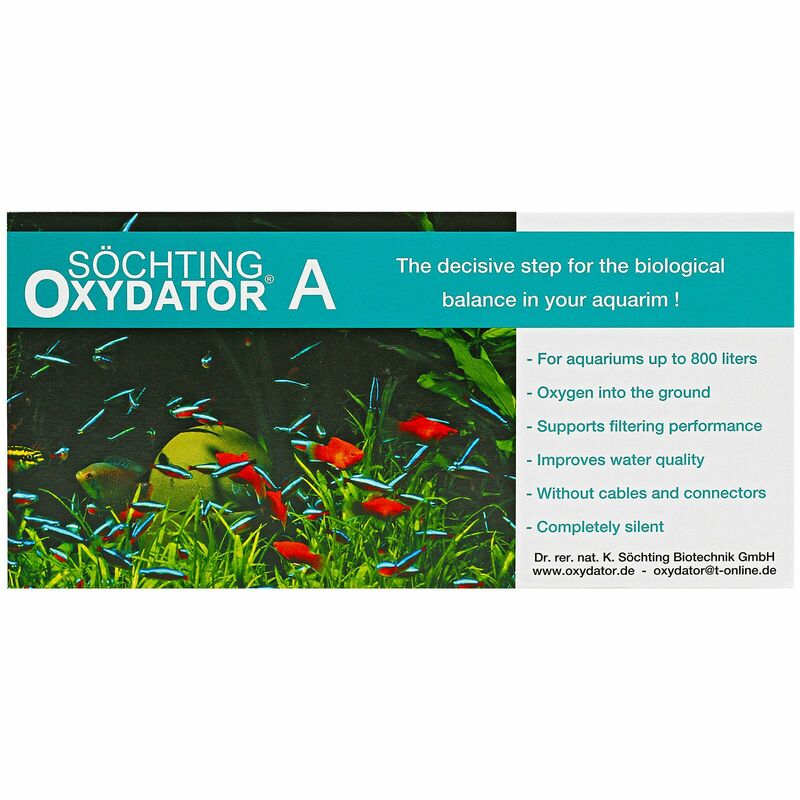 Söchting Oxydators enable a much higher fish stocking and a greatly reduced water exchange. The amount of oxygen liberated is based on the increasing with increasing temperature needs of a vibrant body of water. An increase in temperature of 8 ° C causes each doubling the quantity produced oxygen. The oxygen supply in one liter of a 30% hydrogen peroxide solution corresponds to 156 grams of the amount that is dissolved in about 20,000 liters of water. 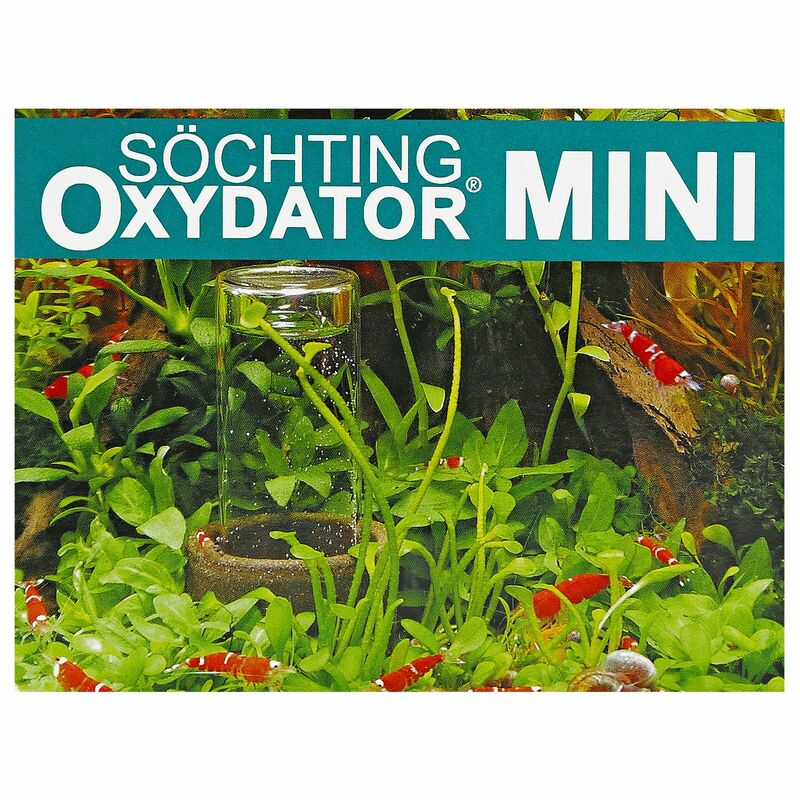 The Oxydator mini comes with two 82.5 ml bottles oxidizer solution included.